Trying to decide which wax to use on your car or truck? Read this! Is spray wax better than paste wax? Which is better? Paste wax or liquid wax? What wax is best for my vehicle? 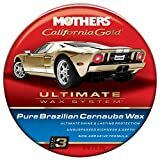 What kind of wax should I use for my vehicle? Should I wax after polishing the paint? There are tons of misconceptions regarding spray wax vs paste wax. I’ve personally been using both for the last decade or so and prefer to use both on various occasions. But to determine which is better between spray wax and paste wax is going to take a whole post to discuss. First of all, spray wax and paste wax are two different products. 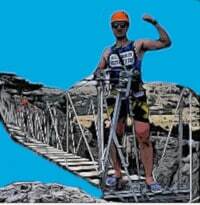 Comparing which is better is like comparing apples to oranges. If you really want to maintain the pristine look of your automobile for the next ten years, proper knowledge on car care and cleaning products is a must. Hi, it’s me Vince. You wouldn’t believe how many car enthusiasts have no clue on the difference between spray wax and paste wax. Fortunately for you, I am here to answer the most pressing questions on the topic of automotive detailing. Spray wax is not as good as paste wax. Spray is NOT better than paste wax or liquid wax. It works good on well maintained or newer paint but if your vehicle’s paint has been neglected for years, you’re going to want to pre-clean it, polish it, and use a good paste wax to restore shine and protection. If you haven’t read our best spray wax article, I’d suggest checking it out. After reading that, you’ll know that the guys and I here at ScannerAnswers are not the biggest fans or spray wax. But let me explain this. Look at his car’s exterior grey paint and paint is nearly brand new. So he has obviously kept meticulous care of his car and that’s why the spray and paste waxes look identical. Spray wax is best used to fortify the existing layer of wax and to renew the shine and color of the paint in-between washing. You can think of spray wax as a booster that helps to enhance the protection of the wax on the paint surface. Carnuaba blend spray wax cuts the chore of waxing time to fractions! Easy and safe to apply to any kind of vehicle paint. Works AWESOME on dark paint colors! DO NOT buy spray wax and expect to achieve flawless results without proper cleaning, polishing, and waxing. There was this buddy of mine who spent an hour using spray wax on neglected paint. Spray waxes are supposed to be easy to apply and easy to remove. You can treat an entire midsized sedan in less than 30 minutes. But why did it took too long for my friend to ‘spray wax’ his vehicle? His paint surface was literally festooned with hard-to-remove streaks and smears. That’s what happens if you apply spray way on paint without treating the surface with a fresh coat of wax. Image credits go to RallyWays – Check them out on Flickr! I like to think of liquid wax as a bridge between the spray and paste waxes. Liquid wax may be easier to apply than paste wax due to the loose consistency of the product, but I’m not saying it is better. The Toyota Corolla may be more reliable and easier to drive than a Subaru Impreza or VW Golf, but it doesn’t mean the Corolla is the more exciting vehicle, right? In fact, the Corolla is better suited for straight-line and stop-and-go commuting rather than pedal-to-the-metal and all-out sporty performance. It’s the same with paste vs liquid wax. It all boils down to preference. I personally prefer using paste wax over liquid wax. I have used both products in my many years of driving and owning different cars, and I will still choose paste over the liquid variety. Besides the obvious danger of spilling the liquid wax all over the garage floor, the long plastic bottles are tricky to store inside the vehicle. Paste wax comes is smaller and more compact containers, and just a little will definitely go a long way. Both liquid and paste waxes are formulated to leave a solid layer of wax on paint, so you don’t need to worry about performance, either. Both products will offer the same level of protection and shine. They just happened to come in different forms. So, which is better than the Mothers California Gold Paste or the Mothers California Gold Liquid? Neither. Both are good products because they are the same formula in different forms. 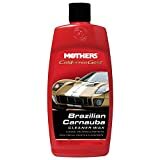 Mothers 05550 California Gold Pure Brazilian Carnauba Wax Paste (Ultimate Wax System, Step 3) - 12 oz. Get your car shining like this gorgeous green Charger! Image source Harry Barnett – check out his great work on Flickr! It used to be that carnauba wax was the only option you can find in the market. But now, you can find synthetic-based products that offer the promise of longer protection, easy application, and unparalleled shine without the elbow grease. The right wax for your vehicle will also depend on compatibility. If you applied polish from a particular brand, it is a good idea to follow up the procedure with a wax from the same brand and type as well. It is never a good thing to mix and match the products over the paint. You can also choose colored waxes that contain dyes and pigments similar to the color of your paint. But there is always a risk of the wax not matching the color of the paint perfectly, which will only give your car an ugly and stained look. Colored waxes are not a personal favorite of mine because they are extremely messy to use. You will also need more than a handful of microfiber towels and applicator pads to treat a small compact car. Colored waxes are only designed to hide the surface imperfections on black or dark paint. This includes scratches, swirl marks, and paint stains. If you are looking to erase or get rid of deep and visible scratches including nasty swirl marks, colored waxes can only do so much. I guess the proper answer to the question of which wax is best for your car is to assess the condition of the paint. If you have a black car, I suggest you get yourself a clay bar, a bottle of pure polish, and a small can of pure carnauba wax. If you have a newer car with fresh light-colored paint, using a synthetic-based polymer wax will do the job just well. Spray wax is fine as long as the paint is freshly treated with a coat of liquid or paste wax at least once every three months. Newer cars will also benefit the most from spray waxes. The great thing about spray wax is the easy application. Most products can be sprayed directly on the paint surface after rinsing the vehicle. The best practice is to wash the car with car shampoo, rinse with clean water, wipe off excess water beads with a microfiber towel, and apply the spray wax one section at a time. Simply wipe off the excess wax and turn over the cloth to buff the paint lightly. But before you apply spray wax, make sure to assess the condition of the paint. Wipe your clean hand over a freshly washed portion of the vehicle like on the hood or roof. If the surface feels rough, you will need to wax the finish. If you find scratches, swirl marks, paint stains, tar or asphalt, oxidation, and dull surfaces on the paint, you must pre-clean and polish the surface and apply a nice layer of wax before you can use a quick detailer or spray wax. When it comes to choosing between paste and liquid wax, you can achieve great results using both products. But when it comes to choosing between carnauba wax and polymer wax, I prefer the former over the latter. Carnauba wax is the hardest natural wax known to man, although I’ve heard synthetic waxes can last longer than carnauba wax. Polymer based waxes will also cost a bit more than ordinary carnauba wax, so the choice is really up to you. Yes. In fact, you should ALWAYS apply wax after treating the paint with polish. There are products that combines polish and wax for a quick one-pass application, but I usually find them inferior in terms of clarity and shine. Polish is designed to remove a very fine layer of the clear coat to reveal a fresh surface underneath. It is pretty similar to using exfoliation to reveal brighter and smoother skin. Applying a fine layer of pure wax will seal and protect the surface while enabling the paint to produce a brighter and deeper shine. Alright we need to wrap up this article. Spray is NOT better than paste wax or liquid wax. 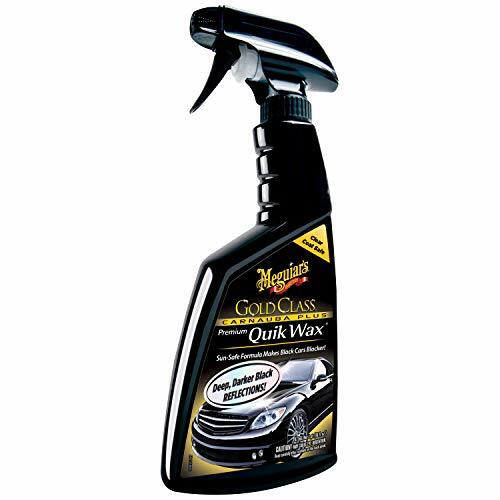 It’s a great detailing tool if you have a good wax base layer and your paint is in good shape. Heck, using a decent spray wax will extend the life of your paste wax and paint job. Paste wax is king though. When it comes to UV protection, and glass-like vehicle paint shine, it cannot be beat! Any good auto enthusiast should have both in their vehicle detailing toolkit! I hope you learned something that will help you and your car. If you have any questions, please drop us a comment! Spray is NOT better than paste wax or liquid wax. It's a great detailing tool if you have a good wax base layer and your paint is in good shape. Heck, using a decent spray wax will extend the life of your paste wax and paint job. Paste wax is king though. When it comes to UV protection, and glass-like vehicle paint shine, it cannot be beat! Any good auto enthusiast should have both in their vehicle detailing toolkit!